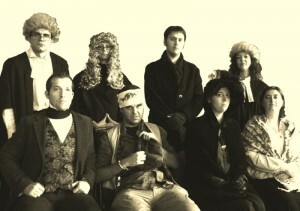 ‘The Business of Bodies’ takes its audience to a grave-robbing trial of the late 1820s. ‘Spanish Frank’ has been apprehended after a moonlit chase through a churchyard, and is accused of body-snatching. The audience must act as his jury, as they hear expert witness from legal, medical, and scientific figures, and uncover the historical and social contexts of this grave anatomical trade.